When it comes to post processing digital images, there is one tool that has as much power and use as any other and that would be the Curves adjustment tools offered in Lightroom and Photoshop along with many other editing applications. This article will deal with two of the most popular and those are Adobe Lightroom and Photoshop. 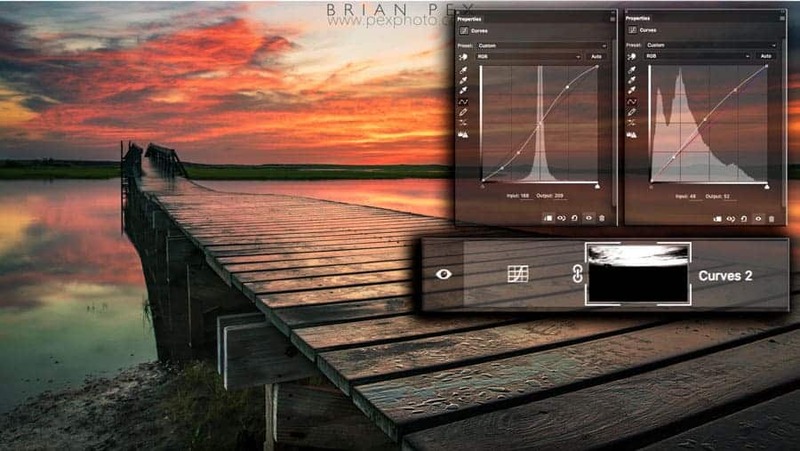 Photoshop and Lightroom both have Curves adjustment options. In lightroom this is under the “Tone Curve” panel in the develop module. In Photoshop, this is simply called “Curves” and that name is much better suited because when you read “Tone Curve” it can confuse some to mistakenly think that this adjustment is merely for tonal adjustments such as contrast or brightness control. That couldn’t be any further from the truth. 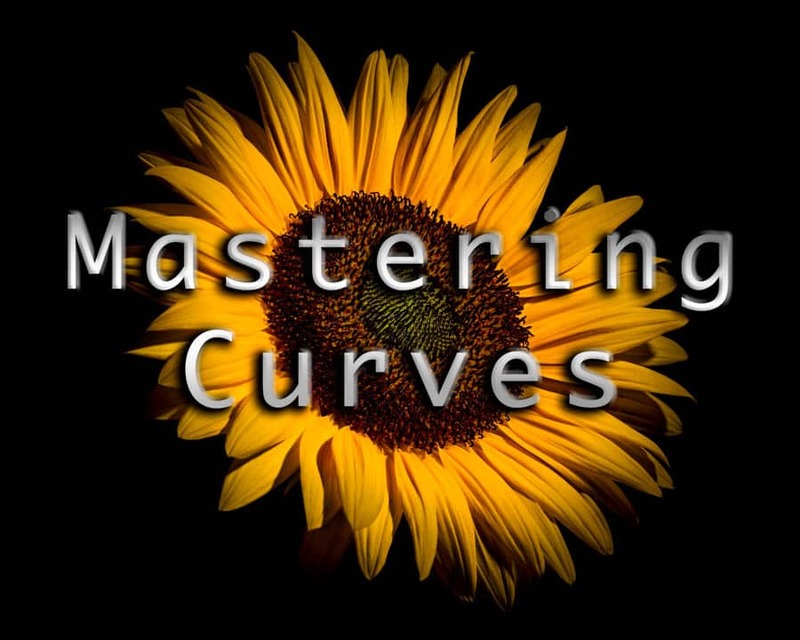 This article will explore the many features than are available within Curves. We will first start with the Lightroom Tone Curve panel and then move on to the more complex and powerful Photoshop Curves adjustment. In Lightroom, you have the Curves Panel inside of the develop module placed directly beneath the BASIC panel. 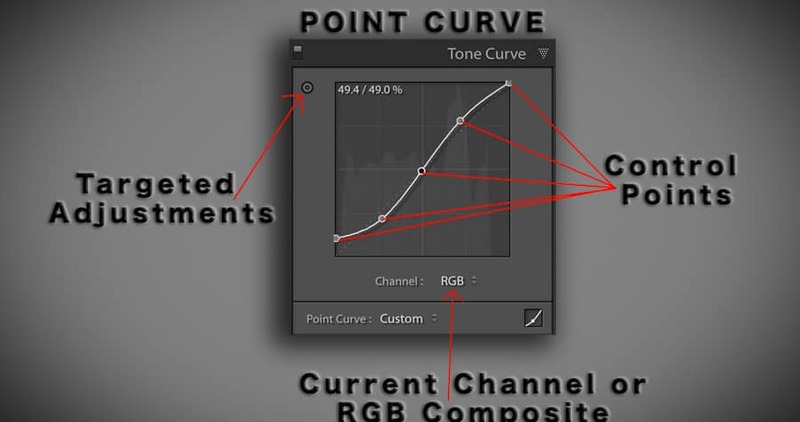 For far too many Lightroom users, the TONE CURVE section is ignored! This is really a mistake as this area of adjustment gives us some very powerful controls. It is here where we can adjust brightness, contrast, recover highlight and shadow detail and also execute very fine color balance adjustments. 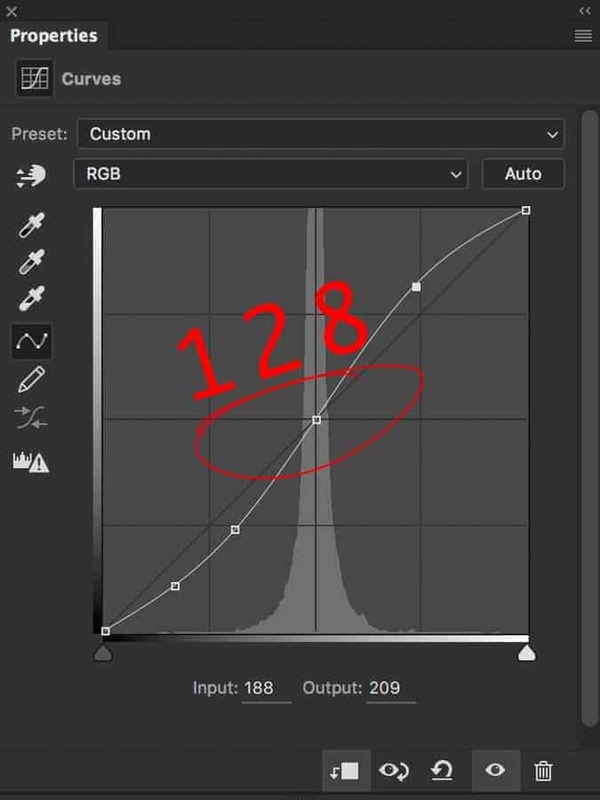 When you look at the Curves adjustment, you will see a histogram which displays the image tonal data. In LR (Lightroom), a scale from 0-100 is used (0 is black/100 is white) going right to left. In Photoshop, it is a 0-255 scale. They are the same but just use different scales. For example, 95% of 255 is roughly 242 so 95% in LR is 242 in PS. Important for a little later in this article. Vertically, you again have a 0-100 scale. How much tone or color you have in the image determines how high or low these data spikes are. If you have a darker image, your data will be to the left and bright images, you will have data on the right side. This is information most people who have done any image editing probably already are well aware of. When you first open the Tone Curve panel, you will be in the Point Curve. If you click on the little curve icon to the lower right corner in the panel, you will enter the Parametric Curve. This curve is a little more restrictive in that it limits that amount of change you can make. The sliders can be moved but LR will dictate how much vertical adjustment can be made and you will see this when you make the adjustments. Clicking along the line that runs through the Tone Curve Window will set a control point on the line. You can click and drag this control point up, down, left or right to get the desired adjustment you want. Having multiple control points along the curve allows for great control over the tonal look of the image. The maximum amount of control points on the POINTS curve is 16. You’ll rarely ever have a need for putting that many points in a photographic image but that is the maxiumum amount nonetheless. Getting used to the various areas of the Curve and the effect they have on images takes a little practice but it is fairly simple to see once you’ve used this a few times. If you have a point you want to delete, simply click and drag it all the way left or right to have it “drop off” the curve and click again once out of curve area. The point is now gone. 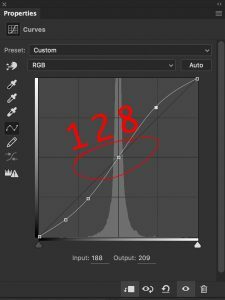 The POINT CURVE is the default curve when you open the Tone Curve panel in Lightroom. Making adjustments to the POINT curve will have an effect on the PARAMETRIC (Explained below) curve when you change over to that curve. You will see the curve has been altered. Alternately, if you first make an adjustment to the PARAMETRIC curve, when you switch to the POINT curve, you will see the curve remains a straight line. If you do make Point Curve adjustments, the Parametric Curve will always be altered. The POINT curve gives you control over color balance by allowing you to make adjustments to the individual color channels: RED / GREEN / BLUE. The opposite of RED is CYAN. The opposite of GREEN is MAGENTA. The opposite of BLUE is YELLOW. What this means is that when you click on one of the color channels in the POINT CURVE, you can choose a tonal region in which you may want to change the color balance or you could simply click in the middle of the curve and slide up or down to effect the color balance in that whole image for that given channel. If you were to place a control point on the RED CHANNEL down in the darker area of the curve about 25% in from the right and then a point in the lighter area about 75% up on the curve and on this second point click and drag up, you would be increasing the red output in the lighter tonal areas while slightly decreasing the red and increasing the CYAN in the darker areas. This happens because the points are like swivel points in that the curve moves in the opposite direction on the opposing curve when you push one way on the other point. Sometime it may be benficial to create two points in one area slightly apart in order to anchor down that tonal region so the adjustments are very small in that area when making large adjustments in other regions. Remember, very small adjustments here go a very long way. The PARAMETRIC curve has sliders at the bottom of the panel for Highlight, Lights, Darks and Shadows. Moving these right to left will increase or decrease tonal output in those areas. You also have a dark slider right on bottom edge of curve along with mid and highs. They are set at 25, 50, and 75 respectively. Moving these right to left will move the adjustment either higher or lower on the curve. You can also click on the curve but unlike the POINTS curve, there aren’t any points set along the curve. The Parametric Curve is more restrictive than the Point Curve and this can guide those who are less comfortable with making their own adjustments freely. This curve will also restrict the adjustments in certain tonal ranges and you will see these areas as a greyed out as you move the adjustments. Once you move a certain amount, you cannot move beyond these greyed “zones.” As with everything else in post processing, practice will make you much more confident to make these changes. There is a little icon in the top left portion of this panel. It is the Targeted Adjustment Tool. It is in both the Point Curve and Parametric Curve. 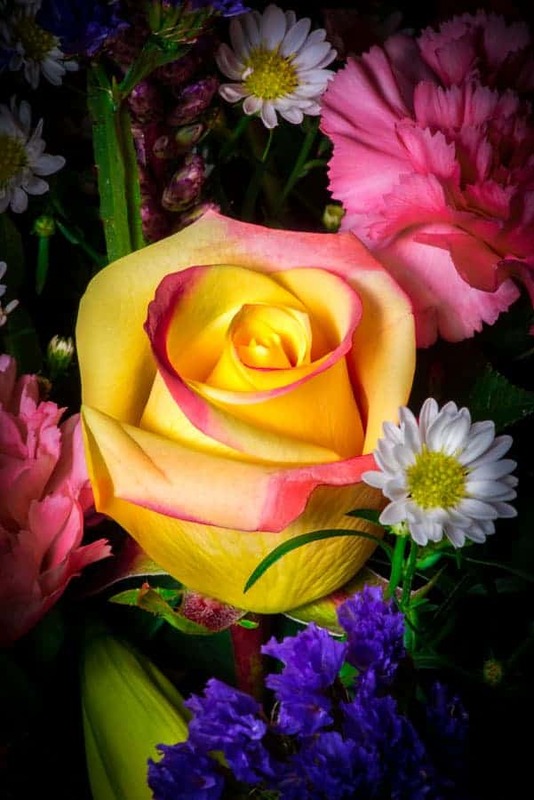 By clicking on this, you are able to hover over the image and when you click on a specific area, you click and drag up (brighten) or down (darken) that tonal range in the image. This is very helpful in selecting very specific tonal areas of the image by using your eye rather than a graph (Histogram). By using this tool, it allows the user to see exactly where on the Curve this adjustment will be. For the standard “S” curve which adds punch by adding contrast, you can simply click on the darker tonal areas of the image (Try 25% in from the left) and click & drag down slightly. After that, simply choose a brighter area of the image (Try 25% in from the right or 75% on the histogram) and click and drag while moving up. This will create an “S” shape in the curve and give added contrast. Remeber to be subtle; small movements can go a long way on a curves adjustment. Practice various points and adjustments to get a feel for this tool. Curves in offer everything you can do in Lightroom and a whole lot more. Taking everything we just discussed in Lightroom, let’s discuss some further features within Photoshop. A) Targeted Adjustment Tool. Click on the image and the tonal region on the histogram is selected and can be adjusted. To avoid clutter, I have added this little image of the white and black point sliders in the Curves adjustment panel. Moving these will change the white and black points of an image. Be careful here. You are changing the brightest point in the image by doing this (White Point) and the darkest (Black Point). These are also used to detect clipping of the darks and highlights. You can either choose to have Photoshop show clipping automatically when dragging these points by selecting to “Show Clipping For Black/White Points” or simply by holding OPT/ALT while dragging these sliders. It is important to know the various options within curves and Photoshop actually gives the user, in many areas, clues to what various buttons and options do by simply holding your cursor over the item. If you leave the cursor there for a second or two, a hint will pop up explaining what the option is for. When you’re in the curves adjustment panel, you will often want to jump from point to point or move up or down, left to right with the chosen point. Many of us know that clicking and dragging will work to move the direction of the point but there is a more precise and controlled way of doing this and that is with the ARROW keys. Each tap of the arrow keys will move the point in one spot increments. Doing the same while holding the SHIFT key will jump the point ten spots in any direction. To jump from point to point simply hit the “+” key to move up the curve or “-” to move one point down the curve. When setting points along the curve in Lightroom, we can move the individual control points anywhere we wish. 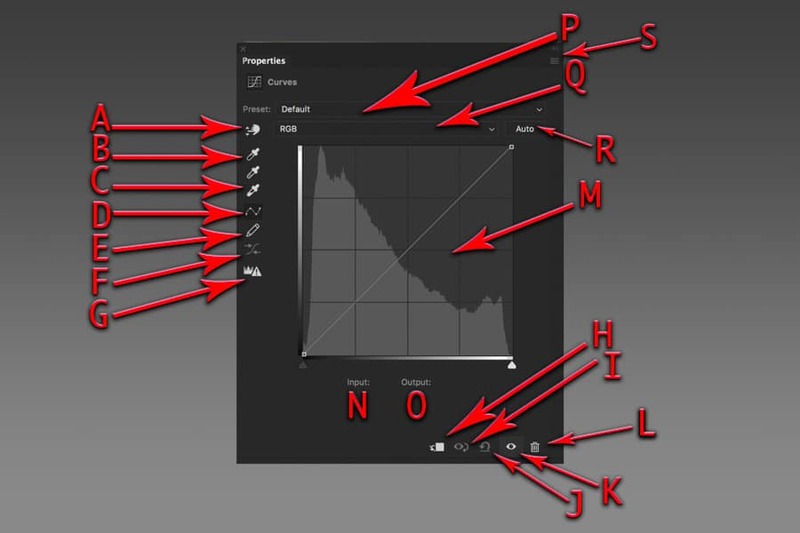 In Photoshop, we can set points and adjust them either individually or in groups. By clicking while holding the shift key, you are able to select more than one point and then click and drag multiple points at the same time and the result is of course displayed as we make these adjustments. Make sure to click and drag while holding shift on the last point chosen to make sure it is possible to move these chosen points all at the same time. This also works with Adobe Camera Raw in the exact same way. This allows the photographer to edit with great precision by moving two or more tonal adjustment points throughout the curve simultaneously to get the exact look they want to achieve. Using Targeted Adjustment tool, you can simply click within the image to place control points on the curve. Moving more than one point at a time is simple. Shift/Click on the points you wish to move and on last point you choose, Shift/Click and drag. Those points will all move together on the curve. When shooting RAW, getting your color correct should be done in the RAW converter and that is in Lightroom. Using the (W) White balance tool and clicking on a neutral in the image will get you pretty close to the accurate colors. If you’re shooting and correct colors are very important, it is a good idea to use either a GREY card in the scene so you’ll be able to come back in post and click on that using the white balance tool or use a product such as the Xrite Color Checker Passport (SEE Article Here). OPT/ALT click and drag the WHITE SLIDER to the left on the lower right portion of the curve. You will see the screen turn black and as you move left, look for WHITE areas to pop up. Try to avoid blow out highlights as they aren’t a good starting point and they will be visible right from the start anyway – these aren’t whites – they are lost info. Using the (I) eye dropper tool, SHIFT & click on this area of white. This will set #1 point in your info panel. As a side note, using a 3×3 sample in the tool bar menu when using the eye dropper is a good idea when using this method. If you make a mistake and place point in wrong area, simply hold down OPT/ALT & SHIFT and hover over the point. Scissors will appear. Click and the point is gone. Moving a point is done by Shift & Clicking on that point and then you can drag the point where you want it. Now, make sure to slide the white point slider back to the right. Going to the BLACK slider, hold OPT/ALT and click now move drag the right until a black area appears. Again, make sure this isn’t a totally black area from the start. It has to be an area that is very dark but just not pure black. Avoid dark areas that are shadow casts. Once again using the eye dropper, SHIFT & click on this spot. This will be the black point sample spot #2. Slide the slider back to the left. Curves can be used to add contrast, correct color, modify color creatively, etc. Look into more ways to use curves to expand your creative tool list. Double click the WHITE POINT dropper. Input 242 as the VALUE where 255 is for each RED, GREEN, and BLUE channels (or you could type is “f2f2f2” near the # line). A dialog box will ask you if you want those as default values. You can click YES here as you’ll never want 255 to be your default white point in photographic image. You want to maintain that 5% value gap from the brightest value to maintain detail in your highlights. (You can always put the default values of 0 and 255 back if you wish). Do the same thing for the BLACK POINT dropper. Instead of 242 in each spot, put 10 in each spot where the 0 (zero) currently is. (Or type in “0a0a0a” near the # line). This will assure you that your black point won’t be black and kill all deep shadow details. This is very important for images that will be printed. Now simply, while using the black point dropper, click on this Black point #2 that we set above. Do the same for the White point #1 set above using the white point dropper. Take the slider in the middle all the way to the left. The entire screen will be white. Slowly drag the slider back to center and the moment you see black speckles begin to make a black area large enough to click on, and stop sliding. Using the eye dropper, SHIFT / CLICK this spot. This is point #3 in the info panel. Setting all three points this way may cause a slight change in the RGB values at the other locations (White, Black). You can fine tune these values by choosing the specific color channel in curves and then moving the points with your arrow keys. Monitor the values in the INFO panel for each of the color channels at the #1, #2 and #3 spots we created with the eye dropper tool. These numbers should all be within 2 or 3 values of each other for each point. Example for white point – R-242 G-240 B-241 would be great. Try to keep these tones as neutral as possible. It is often not beneficial to do all three points to correct color. Often the black and white points will do a great job together and many times using just a grey point alone will get the job done. Color correction should be done before you make tonal adjustments such as contrast and brightness when using curves. You may wish to keep the color CURVE and tone curve on separate layers just to keep things neat and tidy. Always remember that color choices affect mood and add the look and feel you want to an image. Color correction is meant to remove color casts and produce colors as they were when shot was taken. Feel free to adjust the color channels to your liking as the neutral selection points are merely a starting point. The big advantage when using curves inside of Photoshop is the ability to use curves layers with masks. The uses are unlimited. A scene with a sky that you want full tonal control over as well as color balance without having effect on the foreground is very simple with a good mask. An example is you may select a blue sky and if you want that sky and only that sky to be a deeper blue, you can mask out everything but the sky and then using a curves adjustment go into the blue channel and raise the curve to increase the blues in a very controlled and polished way by selecting a point in the brighter tonal area of the curve since the sky is a bright selection. The uses are, like I mentioned, unlimited. Use your imagination and have fun. In addition to various Levels adjustments, there were 3 curves used for this file. One was to increase color in the sky, another for overall contrast and color adjustment and another used for sharpening using a high pass filter clipped to a curves adjustment to fine tune sharpening and avoid halos. If you have an image with a subject that you want to make really stand out from the scene, selecting that portion of the image or subject by creating a layer mask and then making a contrast adjustment using curves can really make it pop. Levels and curves share many of the same strengths and uses. One of them is the ability to make temporary contrast adjustments to enable us to create selections more easily. Using a contrast adjustment can help bring out the edges of certain objects in a photo. While it may not always make it so simple as to use the QUICK SELECTION TOOL, it can offer a lot of help with seeing edges when using a tool such as the PEN tool. When you are done making the selection thanks to the increased contrast simply discard the curves adjustment layer. 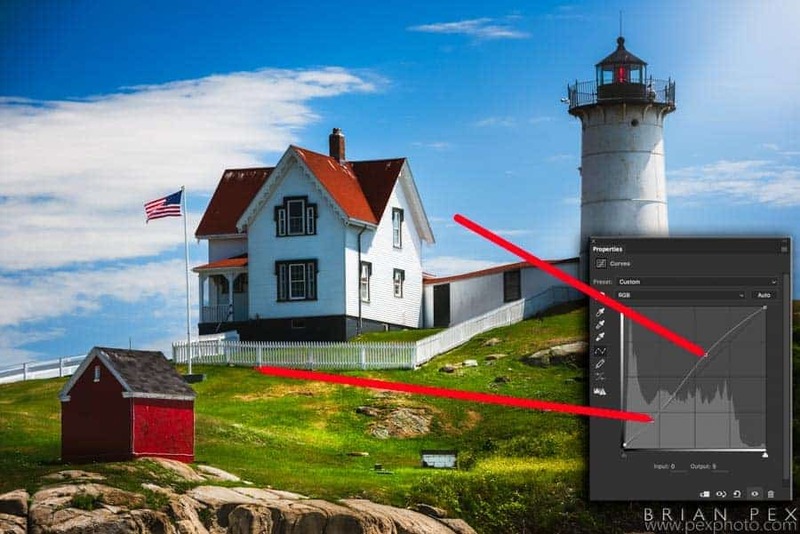 One of the greatest editing tricks in Photoshop is the ability to make extremely precise selections with Luminosity masking and then apply a CURVES or LEVELS adjustment with this selection. 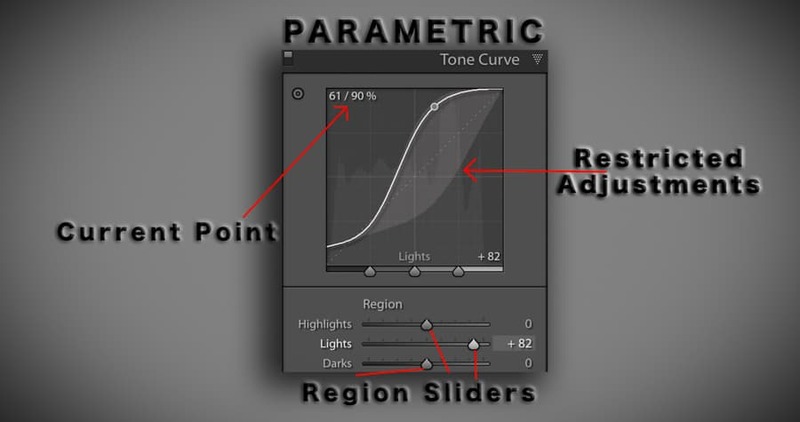 Especially in the midtone ranges, you are given control by using curves that no other tool will offer. Now in the top curves layer, click in the middle and raise to curve to brighten the image. In the lower curves layer, click the center of the curve and drag down to darken image. Opt/Alt click the add layer mask icon on each of these layers. This will apply a black mask to each of these layers making any adjustment invisble. Using a low opacity or flow, draw with WHITE paint on the layer masks to gently bring in the adjustments in the curves layer. You can always adjust opacity/fill of the layer and also have the added curves adjustment control to work with. Make sure the input and output values are both set to 128. This can be done by placing a point by clicking on the curve and clicking on these values and then type in 128. Hitting tab will jump between the two. Hit enter or return when finished. Adjust the Radius to your liking. If you’ve never used High Pass before, experiment. For example sake, use 4-6 for Radius. This depends on the image resolution. Change the blend mode on this layer to LINEAR LIGHT. Make sure to CLIP this curves adjustment to the layer directly below. This is done by hitting the little clipping icon in the bottom portion of the curves adjustment box (A little white box with arrow pointing down with a little line through the arrow). Click on the dead center point of the curves grid. If you don’t get it spot on, it is ok. Just go down to the INPUT and OUTPUT values while that point is selected and type in 128 for both. Hit Enter/Return. Click the eyeball on the bottom layer so you are able to see the LINEAR light layer that is a HIGH PASS filter. Adjusting the curve will yield different sharpening results. When done re-enable the bottom layer. Select the top Curves Layer and the High Pass layer by clicking one and then moving to the other and SHIFT click. Hit CMD/CTRL & G to group these two layers. OPT/ALT click on the add layer mask to the group. This will make group invisible. You can now use a WHITE brush with low flow or opacity to draw in sharpening in the areas you want. You will then have the ability to adjust the opacity of this group as well as the curves to adjust sharpening to your liking. Well that wraps it up for this weeks post processing tips article. Please feel free to leave any comments below and ask questions you may need answered. Remember, nothing in post processing is HARD or DIFFICULT – it is a matter of practice, practice, and more practice. Get out there and shoot, capture some fantastic RAW files and go nuts! !